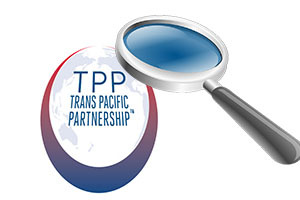 This is the first in a series of articles interest.co.nz has commissioned reviewing the key chapters and issues for New Zealand in the Trans-Pacific Partnership Agreement. One of the more contentious parts of the TPPA is the creation of the Investor-State Dispute Settlement (ISDS) mechanism between member countries. It is due to the ISDS provision that many Kiwis feel that we will be ceding sovereignty to foreign corporations if the TPPA is ratified. ISDS provisions create a specific legal mechanism for foreign investors to seek international arbitration if they believe that the host state has breached their obligations as stipulated under the agreement. In plainer language, this means that foreign corporations will be able to sue the government in an international court. Many critics of the TPPA are framing the ISDS provision as open season on our domestic policies. No Party shall expropriate or nationalise a covered investment either directly or indirectly through measures equivalent to expropriation or nationalisation. Direct expropriation and nationalisation are easy enough to comprehend. ISDS mechanisms have been around since the late 1950s, and were originally intended to give foreign investors some level of reassurance that their investments in politically unstable regions would not be taken from them. At the very least they could pursue compensation should the host country change its attitude to foreign investment. It is unlikely that John Key will be sending the tanks in to your local Countdown to bring down the price of milk. The key clause in the agreement for a country such as ours is indirectly through measures equivalent to expropriation. So what exactly constitutes indirect expropriation? All government policy creates winners and losers, and often those losers include private enterprise. If any loss of profit is the standard for determining expropriation, it is difficult to imagine what kinds of government policy would not be considered to be expropriation. Indeed, some of the more infamous investor-state law suits suggest that ISDS is carte-blanche for all government policy to be dragged through the court room, such as Philip Morris suing the Australian government over plain packaging of cigarettes. For the sake of argument, suppose that a future government wanted to implement a soda tax. Would the government be facing a potential law suit from Coca Cola et al.? (i) the economic impact of the government action, although the fact that an action or series of actions by a Party has an adverse effect on the economic value of an investment, standing alone, does not establish that an indirect expropriation has occurred. Non-discriminatory regulatory actions by a Party that are designed and applied to protect legitimate public welfare objectives, such as public health, safety and the environment, do not constitute indirect expropriations, except in rare circumstances. On paper there remains plenty of scope for the government to continue to legislate in the public interest, provided the regulation is not used to play favourites with domestic business. Other articles in the text reinforce this sentiment (such as 9.16). NAFTA has enabled some of the more egregious environmental law suits, such as Ethyl Corp. successfully suing Canada for banning a toxic fuel additive. But in comparison to NAFTA, the language used in the TPPA does a better job of enshrining the government mandate to legislate in the public interest. I remain cautiously optimistic. But what happens if we are sued? Section B of chapter 9 outlines the dispute settlement process for ISDS. Investors can bring a case against a member government if they believe there has been a breach of obligation as defined in the agreement. The investor must first seek resolution through negotiation before going to arbitration (Article 9.18). If negotiation fails the complainant must select an arbitration forum, and then an arbitration panel will be convened following the process outlined in Article 9.22. The panel consists of three members. The complainant (investor) and respondent (state) each appoint one member. The remaining member and chair of the panel must be agreed upon by the two parties, or is otherwise appointed by the tribunal. At this point the respondent can object to the merits of the case and request that the panel endorse the legitimacy of the complaint before invoking the full arbitration process (Article 9.23 paragraph 4). One of the biggest concerns with the arbitration tribunals is a perceived lack of transparency. Indeed, there are varying degrees of transparency amongst some of the potential tribunals listed in Article 9.19. For example, the recent Philip Morris case against Australia was held under the United Nations Commission on International Trade Law (UNCITRAL) Arbitration Rules, which require that both parties agree to waive confidentiality before information can be released. In contrast, The World Bank’s International Centre for Settlement of Investment Disputes (ICSID) is not usually confidential. Nothing in this Section requires a respondent to withhold from the public information required to be disclosed by its laws. The respondent should endeavour to apply those laws in a manner sensitive to protecting from disclosure information that has been designated as protected information. Our government may very well be the ultimate vanguard of transparency. Interestingly, there is also a provision in Article 9.23 that allows third parties who are considered to have a “significant interest in the arbitral proceedings” to make submissions to the tribunal. The interpretation of “significant interest” is obviously important, but this may provide opportunity for public interest groups to make their case directly to the arbitration panel. I ran into one of the TPP protests rolling through lower Queen Street one Saturday afternoon. Judging from the various signs and banners it was apparent that many people associate the agreement with American hegemony. And I do not recall such vocal opposition to the original TPP between New Zealand, Chile, Singapore and Brunei. It is only when the US got involved as part of President Barack Obama’s “pivot to Asia” that we really began to pay attention. To some extent this opposition is warranted. Work by Henry Farrell at George Washington University highlights how divergent the US negotiating position was in the early rounds of negotiation. However, when it comes to ISDS, we opened the door to law suits from American multinationals a while ago. Let me explain by re-visiting the Philip Morris case. Philip Morris is ultimately owned by the plain-and-innocent-sounding Altria Group, which is headquartered in Tobacco Country - Henrico County, Virginia. Australia does not have an ISDS agreement with the US, and in fact, due to the unpopularity of ISDS with the Australian people, an ISDS provision was explicitly omitted from the Australian-US Free Trade Agreement. So how could US-based Philip Morris sue Australia for its plain packaging laws? Australia does have free trade and bilateral investment treaties with nations other than the US, and many of these contain ISDS provisions. Australia has an ISDS agreement with Hong Kong, and as it turns out, Philip Morris has a subsidiary in Hong Kong. It was the ISDS agreement with Hong Kong that gave Philip Morris the back door to suing the Australian government. This is an example of what Todd Tucker at the University of Cambridge’s Centre for Development Studies refers to as Creeping Multilateralism. Four of our free trade agreements already contain an ISDS provision: the FTAs with China, South Korea, ASEAN/Australia, and Malaysia. As the Philip Morris case has demonstrated, multinational corporations with affiliates domiciled in these countries already have a foot in the door. In the end the arbitrator declined to hear the Philip Morris case. Philip Morris shifted investments after the plain packaging policy was announced to ensure that Philip Morris Asia held a stake in Philip Morris Australia. This was deemed to be an abuse of right and the case was dismissed. An arbitrator calling out Philip Morris for foul play is certainly a far cry from ISDS tilting the playing field to favour foreign business interests. Every international agreement requires participants to give up some degree of sovereignty. Indeed, that is usually the point of the agreement. Prudence requires that we recognise this cost. But prudence also requires that we weigh these costs against the benefits. Economists and policy-makers often argue that ISDS fosters an environment that attracts foreign investment, which means more jobs and more income. But I would point out that New Zealand has not had much trouble attracting foreign investment: We have a strong, transparent and independent judiciary, and a business-friendly economy. ISDS-or-no-ISDS, we have attracted investment from all corners of the globe. Cast in this light, the ISDS clause in the TPPA is a solution to a problem we do not have. In order to recognise the benefits of ISDS we must instead invert our viewpoint. It is not so much that foreign multinationals will now feel a little bit more confident about investing in New Zealand: It is that our home-grown businesses will now feel a little bit more confident about investing overseas. All well and good, however politicians have long proven themselves untrustworthy as far as representing the people is concerned, and recent leaders namely Key, Clark, and Muldoon come to mind. These types of leaders are so self-serving that they are just likely to roll over when threatened to be kicked. We are already cow-towing to multi-nationals, especially banks, who are taking billions out of the country every year, and greed based policies that have seen hundreds of thousands of jobs exported. This TPPA is a death throe flailing of right wing, free market economics that will seek to drag the last dollar out of the country. As to the last point, how well do you think the Yanks will take to a company like Pacific Helmets in Wanganui taking them to court because they won't buy imported safety helmets? They'll be like the Aussies and the apple issue, blocking imports for decades on a bogus excuse until the small company either folds or just goes away. And remember that the vast majority of NZ companies are small ones who don't (or won't) have the resources to challenge a country in an international court. These are the companies who employ the majority of our low or unskilled people. Finally; 30 years before we will see any measurable benefit? Why would we sign a treaty that offers no immediate gains? Good article. The concern I have with ISDS courts is it upturns the centuries old constitutional arrangement where Parliament is the final arbiter of the public good -where it is the highest court in the land. To me this seems important and I would feel a loss if it was no longer the case. Under the TPPA ISDS tribunals will be the final arbiter of the public good for some entities in NZ -foreign investors. The only protection the NZ public has is the details of the TPPA text and how that is interpreted. Or the nuclear option of exercising our sovereign right to withdraw from the agreement in its entirety. I asked that question and some others here. The other question I have is that governments have the right to compulsorily acquire land -to build motorways etc. How is that right affected if the land is foreign owned under the TPPA? There is an economic discussion of the market failure of contiguity which leads to the government having to intervene in the property market in some cases here. NZ does not have an "independent judiciary"at all. Hence every time the government has been caught breaking the law they effectively just back date and change the laws to suit themselves. Case and point, domestic spy laws. Our only saving grace around this TPP may well be the American people themselves who don't want anything to do with it either. It may not be all bad. I wonder if the agreement could be used to fight the monopolistic behaviour of some of our NZ companies and the protectionist nature of some of of our codes and regulations, ie BRANZ. Governments are elected "By the people For the people" but you would not realise it because self interest, lobbying and corporate interests allways come before the people. The problem isn't so muc ISDS, although it definitely shouldn't be dismissed. Robert Reich wrote a good synopsis on why 'Free Trade' in todya's world does not necessarily benefit the 99%. I've posted one of the links below but his pieces are easily found online. In short, he laims that these so called freetrade agreements have only made life better for corporations. It's 'freed' them from tax obligations, from labour obligations. They can operate from pretty much anywhere, employ staff and labourers at the lowest possible wage, and shift their profits elsewhere, again. Ties in nicely with today's NZ Herald piece on top mulitnationals paying very littl income tax. I think it is this, which intuitively most people are protesting against, even if hey can' articulate it as such. It's been evident for the past 30 to 40 years: free trade means that, in the short term, soe goods and services are cheaper, but that is quickly offset by falling or stagnating wages. Meanwhile, the wealthy need somewehere to park their money, which sees them go on a landgrab/proprty buying spree. This in turn makes life more expensive for the rest of us. We're living with the consequences right now, and it's only going to get worse. Giving corporations more access, more freedom, more power, is the exact wrong thing to do. aah, but the TPPA includes a Chapter requiring minimum standards for 'labour obligations'; I think they are Western (ILO) standards "being imposed" on non-Western countries. I will be interested in Dr McGrevy's review of Chapter 19 when he gets to it. That doesn't mean anything, when even being a member of ILO doesn't require a nation to ratify all ILO conventions. New Zealand was a founding member, and has NOT ratified 62 conventions so far. So, circumvention is easy: stick a reference to the ILO in the Labour TPPA chapter, with the full knowledge parties have to only adhere to those ILO conventions they've actually ratified. Re the Herald article, those top 20 multinationals that paid no tax here are the same people who stitched together the TPPA. And the ISDS will allow the multinationals to pervert our laws and policy's. America just blocked a massive solar project in India because it insists India has to buy the panels in the USA and not use the homegrown made in India. New word - Tpparort: a process whereby banksters and transnational CEOs secretly devise lengthy documents to undermine countries' democracy and sovereignty and rammed through those countires' legislatures by equally sociopathic politicians. Interesting. Care to provide a link to the relevant part of the agreement, or otherwise some commentary? Steve Edwards: "The primary purpose of the Flag Change Campaign is to function as a ‘mechanism of distraction’ to deceive the NZ public that the government is sincere about democracy, while simultaneously it is railroading the TPP Treaty to ratification." SO why did Labour include a review of the NZ Flag in their election manifesto? http://www.bbc.com/news/uk-politics-eu-referendum-36117058 do we need trade deals? Boris doesn't think so.